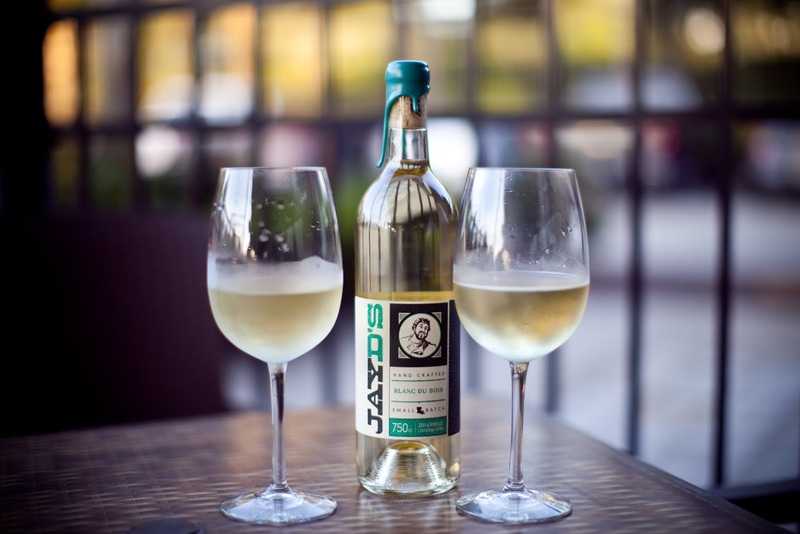 Jay D's Blanc Du Bois shot by Nicole Colvin at the Olive or Twist wine launch on May 20, 2015. Jay D's Blanc Du Bois won't be on shelves for much longer. We only corked 1,000 bottles, and most of those have been snatched up already. But if you can get your hands on one, or if you're one of the lucky few with a bottle sitting in the fridge, feel free to use this very official Jay D's Blanc Du Bois Pairing Guide to take your sipping to the next level. I discovered this pairing by accident. As it turns out, the buttery, salty flavors of microwave popcorn go swimmingly with the tart, refreshing flavors in the Blanc Du Bois. Jay recommends seasoning the popcorn with his FNS buddy Arnold Myint's Herbs de Provence or with some Slap Ya Mama Cajun Seasoning! Barbecue chicken pizza made with Jay D's Louisiana Barbecue sauce. It almost goes without saying that Jay D's Blanc Du Bois was made to pair perfectly with outdoor cooking. But if outdoor cooking isn't your thing, try Jay D's with barbecue chicken pizza. All the flavors of the outdoors combined with the honeysuckle and pear flavors in the wine work together magically. 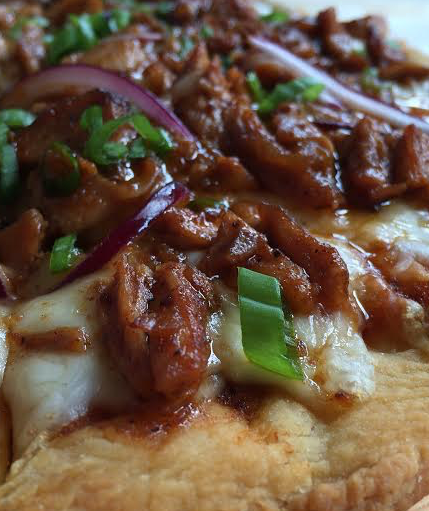 Check out our recipe for barbecue chicken pizza using Jay D's Louisiana Barbecue Sauce here! I love contrasting the crisp flavors of a white wine with a handful of salty nuts. Something about it just works without being too filling. Try pairing salted pistachios with a glass of Jay D's Blanc Du Bois, or if you're feeling crazy, maybe try pairing the wine with some pistachio gelato. Who's going to stop you? 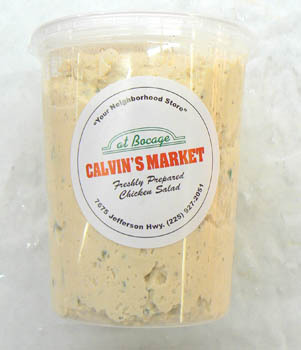 Calvin's Bocage Market's chicken salad is legendary. Photo from calvinsbocage.com. There's no greater love story than that of white wine and chicken. The two are a match made in heaven. Also made in heaven? Calvin's chicken salad. Recently I nearly pitched a fit when I went to grab a container of the stuff for a beach trip and another shopper stood directly in the way of the chicken salad. Grab your favorite crackers, a couple of pounds of Baton Rouge's favorite chicken salad and a glass of Jay D's Blanc Du Bois and call it a night. Jay D's Blanc Du Bois tastes like summer. You know what else tastes like summer? That's right. HOT DOGS. I can't even express my excitement at the idea of an outdoor hotdog cookout and a glass (or three) of Blanc Du Bois. A little mustard, a little ketchup, and a dash of relish on a pork or sausage hot dog, surrounded by a fresh, toasted bun washed down with a cold glass of Jay D's? Sign me up. If you're feeling especially indulgent, this is the pairing for you. Counter Culture's Humphrey, a frozen yogurt treat with strawberries, bananas, grapes, and granola drizzled with honey, works well with the Blanc Du Bois. The fruit flavors in the wine compliment the fruits in the yogurt, and the tartness in the wine is balanced by the tartness in the yogurt. Ruth's is my favorite locally made hummus. 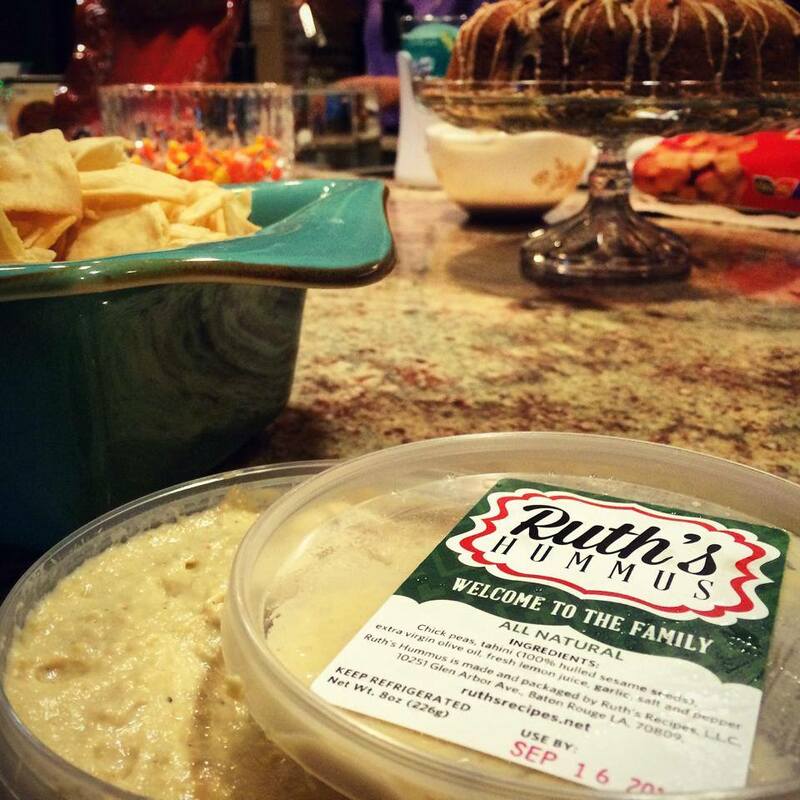 Ruth's Hummus tastes fresh and lemony, and it's perfect for dipping just about anything. It's locally-made and versatile, just like the blanc du bois. Grab some vegetables, your favorite pita, and a glass of Jay D's Blanc Du Bois and snack outside by the pool on a hot day and thank me later.